If you've eaten some bad food take heart: There are remedies for food poisoning that will have you feeling better soon. Food poisoning can occur anytime within 48 hours of ingesting tainted food. According to the Centers for Disease Control and Prevention (CDC), food poisoning causes 76 million illnesses, 325,000 hospitalizations and 5,000 deaths a year in the United States. It is important that you seek medical help if you believe you have food poisoning. The health risks are serious and it can lead to death if not treated properly. Food poisoning can come from several sources, not just food that is too old for consumption. Contaminants may come from pesticides used to treat fruits and vegetables, poor food storage conditions and poor handling practices at food preparation or restaurant facilities. The actual causes of the symptoms are infective agents or toxic agents. The most common causes of this syndrome are salmonella, botulism and staphylococcal food poisoning. The treatment for most cases of food poisoning is simple: Plenty of rest, lots of liquids and bland foods such as mashed potatoes, rice and bread. The BRAT diet (bananas, rice, apples and toast)that is used for children with upset stomachs and diarrhea can help ease the symptoms. With proper care, the symptoms should subside within a few days. Botulism, however, is the exception to the rule and different remedies for food poisoning are required. If a person has food poisoning caused by Botulism, it can become severe enough to cause death. This is why a medical professional should diagnose all suspected cases of food poisoning. People who are suffering from botulism will have many of the same symptoms of other food poisoning, but they will also have a dry mouth and blurred vision. The paralyzing effects of this poison are obvious. The affected person will gradually experience paralysis of their neck and face, which will lead to choking and death in several days if not treated. Individuals who are found to have botulism food poisoning will require hospitalization and the administration of an antitoxin. They will be observed closely because of the paralyzing effects on the neck and throat. An IV will be administered to help combat dehydration. Symptoms will gradually reside and the person should be allowed to go home in several days once the paralysis has eased. The paralysis will also eventually subside, usually within several weeks. If you suspect you or someone you know has food poisoning, take them to the nearest hospital for immediate diagnosis and treatment. People that have had the above referenced symptoms for more than two days should definitely seek medical help, especially if they are having problems breathing, have yellowing of the skin and eyes or have swollen joints. When you prepare and eat foods at home, you can ensure food safety by following a few simple rules. Always cook meats to the correct temperature. 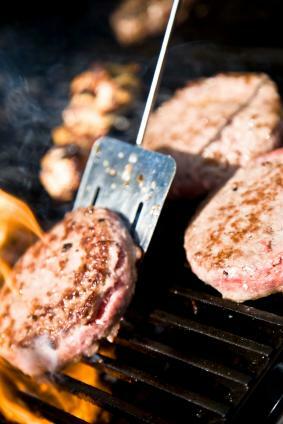 If you aren't sure if they are thoroughly cooked, invest in a meat thermometer and be sure every time. Wash all fruits and vegetables thoroughly when you bring them home from the store. Make sure all of your food preparation surfaces are clean before you begin making food. Have separate chopping boards for your meat and vegetables. Buying ones that are different colors may help you quickly identify which one is for which food. Always wipe your food preparation surfaces before and after you use them. There are many cleaners on the market that can kill the bacteria, parasites and viruses that cause common food poisoning. You can also make your own cleaning solution of one part bleach to three parts of water. People who frequent restaurants are always at risk for food poisoning simply because they have no control over the food preparation practices of the establishment. You can avoid some types of food poisoning by ordering meat that is well done and avoiding raw vegetables.Those who travel frequently can usually avoid some food poisoning by ordering food cooked to the proper temperature and drinking bottled water and drinks or hot drinks.